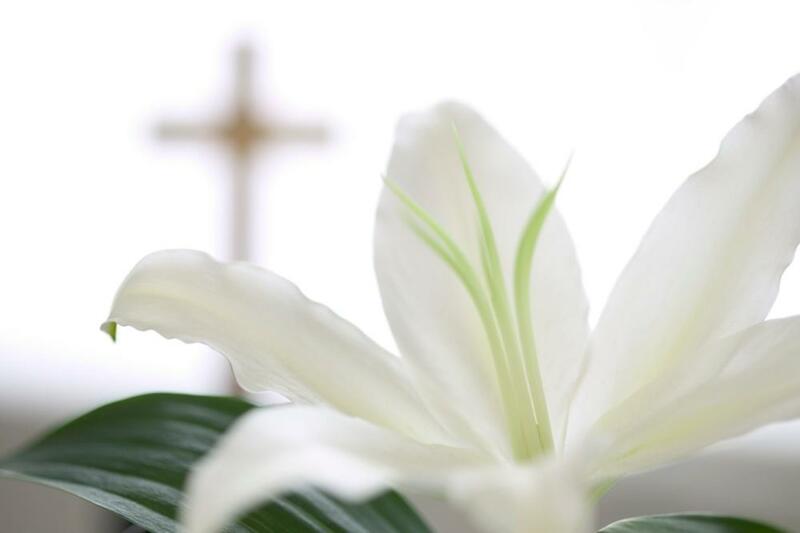 A Christian funeral is celebrated in three stages: the vigil ( commonly called the wake), the funeral liturgy (usually a Mass, but not always) and the committal or final disposition of the body or cremated remains. The funeral Mass should ordinarily be held in the parish where the deceased was a member. Even when there are few family members or friends of the deceased, the funeral is an important part of parish life. It is a reminder of the connection of death with the paschal mystery of Christ's death and resurrection. Thus it is preferable to have the funeral in the parish church rather than at the mortuary. It is preferable that Mass be celebrated with the funeral but a funeral without Mass is also acceptable. The Church's directives in the Order of Christian Funerals do not require that Mass be celebrated with the funeral. If those who are to participate in the funeral have little experience of Catholic ritual and would be more comfortable not celebrating the Eucharist, the planners should consider a funeral without Mass. A funeral ritual without a Mass still celebrates they mystery of God in life and in death and commends the deceased to God's care. We need to remember that respect for the dignity of the human person, who is a union of body and soul, is a core moral principle. We must keep this in mind as we make decisions throughout life and into death. Cremation is not forbidden by the Church, but the scattering of ashes is. According to the Catechism of the Catholic Church, "the Church permits cremation, provided that it does not demonstrate a denial of faith in the resurrection of the body" (CCC2301). The scattering of ashes represents a denial of our Christian belief in the resurrection of the body in both its communal and individual elements. The cremated remains represent the human person and are a sign of how God blessed us through this person. Dispersing these ashes over a lake or field is inappropriate because final closure to our earthly life should include remaining with the community of faith, even in death, as we await the resurrection of the body. The remains also symbolize the individuality of that person, and burying them in consecrated ground or putting them in a columbarium honors the unique sacredness of the person's life. That's why Catholic cemeteries provide space for the remains of those who were cremated. It also provides a place where loved ones can show respect for the remains - a place and space that doesn't exist when cremated remains are scattered. The preferred preparation for the funeral is a vigil or "wake" celebrated on the night before. The vigil or wake is the time when the life of the deceased as God's gift to us is remembered. It is an opportunity for family members and others from the community to share the meaning of the life of the deceased as the gift and blessing that he or she was to each of them. The vigil should be given as much attention as the funeral itself in order to prepare participants who come to the funeral the next day to celebrate the life of the deceased. The revised Order of Christian Funerals has formulated a ritual to celebrate the vigil in a more prayerful way. It includes a time to gather, to pray, to read scripture, to tell stories and to support those who are grieving. This gives everyone the opportunity to remember the person's life and recall the joys and sorrows through which the meaning of a Christian life emerges. Traditionally, it has been the custom in many places to pray only the Rosary at the vigil service. Although the Rosary is an appropriate and worthy prayer for those who are grieving, simply praying the Rosary at the vigil should not replace the Church's fuller ritual developed for celebrating the vigil service. Occasionally, there is also the request by loved ones to have the Rosary recited in church prior to the funeral. But praying the Rosary immediately before the funeral Mass is not appropriate because the liturgical rituals of arriving at the Church to celebrate the funeral require a different attention to those gathering and to the beginning of the funeral. If the family wishes to say the Rosary, they can do so at home or at the mortuary prior to arriving at the church. Wakes are reality therapy. They help the living accept that someone died. An open coffin is recommended because it's important to grieve a reality. Seeing is believing - that the person is dead. The wake's reality therapy is especially important in instances of a sudden death.When the dead person had been ill for a long time and body ravaged by disease, the wake leaves a more positive lasting memory because the embalmed body looks better. Are the viewing and the presence of the body for a ceremony necessary? There are no legal requirements to view the body or for the body to be present for a ceremony. However, the Catholic Church strongly advocates the presence of the body for the final ceremonies. Experts who study death and dying recognize that there is an "epidemic of complicated grieving" in our death denying culture. They encourage the viewing and the presence of the body for the ceremony to satisfy the basic human need to see, believe, and accept the reality and finality of death. This viewing and presence also help to express the pain and sorrow associated with death ("grief denied is grief delayed") and to encourage the mourners to share the experience of loss with others ("grief shared is grief diminished"). Our Catholic belief is that the body is not just a "shell" but in reality the "temple of the "Holy Spirit." As such, the body must always be treated with reverence and respect. Often people want to "protect" children from the harsh reality of a death. Yet the child is part of the family for whom death causes a major change in their lives. So children should be drawn into discussions regarding the death and the funeral planning. Adults often resist allowing children into this conversation because adult's fear not being able to answer children's questions. But experts recommend this involvement to help both adults and children with their grieving. Communication about death is easier when a child feels that he or she has our permission to talk about a subject that is often not talked about, especially with children. We must deal with the inescapable fact of death, and so must our children. If we wish to help them, we must let them know that it is okay to talk about it. In fact, any discussion with the children will also aid adults in their own grief process. Death should be explained to a child as simply and directly as possible by someone very close. But even more importantly, it is necessary to listen to the child and to consider the child's feelings about this particular death or about death in general. Adults need to realize that the child's understanding of death always depends upon his or her age, maturity and intelligence. Younger children from ages three to five usually know very little, if anything, about death. But since they are very curious, they can have many questions that should be answered as simply, directly and truthfully as possible, especially without suggesting that death is reversible or has not really happened. Children from ages five to nine have begun to understand that death is final, and their questions can often be harder to answer. But again, direct and truthful answers will help them confront the reality of death and cope with their own grief. Older children, ten through the teenage years, might recognize death's inevitability and also realize it could happen to them. Anger and guilt feelings can also occur in a relation to a death, especially one within their family, friends or peer group. It is important to communicate that they were in no way responsible for the death. If a child is to attend a funeral, preparation should be given beforehand about what will be seen and heard before, during and after the service. The child should be aware that on such a sad occasion people will be expressing their sorrow in various ways and some will be crying. The Catholic Church celebrates funeral rites as the culmination of the deceased person's incorporation into the paschal mystery of Christ's life, death and resurrection. The funeral liturgy witnesses to the fundamental Christian conviction that death is only the end of our earthly life but not the end of our spiritual life in relationship to God. We believe that our death is the doorway to a new way of living with God. Baptism celebrates the beginning of our life in Christ and our commitment to God's ways throughout our lives. The funeral ritual celebrates one's earthly life in faithful relationship with God and looks toward the promise of existence with God forever. The funeral, then, is both an important celebration of the deceased believer's life and an expression and reaffirmation of the faith of the community. At the funeral liturgy, we bring the body of our loved one back to the house of the church one last time. Just as he or she was welcomed at the church door on the day of baptism, washed free of sin in the font and clothed in the white robe of redemption, so now we welcome the body back to the church's house one final time. We sprinkle the casket with holy water and clothe it in the white cloth (pall) - a reminder of the baptismal garment. Preplanning for the funeral liturgy can make the process easier during a very difficult time. The funeral liturgy will always include one reading from the Old Testament, one reading from the New Testament, and 4 songs. Please feel free to follow the links below for suggested readings and songs. If there are songs or readings that are not included in the list, please let us know your personal preferences.